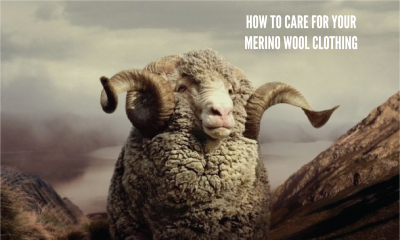 With winter cold & wet season among us it’s a good idea to do a quick recap on how to care for your Merino pieces. Merino Wool is one of the world’s most durable fibers and if you take good care of your garment, it will last you many seasons. Always read the care label. Unless specifically stated, hand wash or gentle machine wash is the best method. It’s best to use certified WOOLMARK detergent. Since they can be pricey, the next best option is eco-friendly gentle detergent or detergents designed for sensitive skin. Don’t use fabric softener or bleach. Fill a clean sink with lukewarm water, make sure it’s not too hot as you don’t want your wool to shrink. Soak your garment for 10-15 minute in the water with detergent. Gently squeeze and soak – try not to wring or stretch the garment as this can cause damage to the yarn and shape. Rinse the garment gently in clean water. To get rid of excess water roll your garment between a towel and gently press. Gently shake and reshape garment before laying on a clean towel in the shade to dry. Do not tumble dry – this will cause the fiber to shrink! Turn your garment inside out and use gentle warm wash. Remove from washing machine immediately after the cycle is finished and lay flat in shade to dry. Wool is often championed as a fibre which does not to be laundered as regularly. This is because it naturally resists odour and creasing. Immediately apply a solvent-based stain remover such as eucalyptus oil. Apply it in small amounts, working inwards on the stain to avoid it from spreading. When not wearing your merino, it is best to fold your garment. Hanging can cause garments to stretch and change their shape long term.You can buy padded hangers specifically designed to help woolen garments maintain their shape. Pilling is a natural process that happens due to friction. Whilst it’s more common in man-made fibers, it can still occasionally occur with wool. Washing your clothes inside out will help prevent pilling from occurring. You can remove small bits of fluff gently using a wool shaver or investing in an electric de-piller. However, if left alone, most bobbles will pull away on their own accord.